These oh-so-cozy, yet ruggedly durable slippers are the perfect thing to get your tender feet through the chilly months ahead! Designed for both Men and Women, the thick knit and leather soles make these Romeos the go-to footwear this Fall/Winter season. 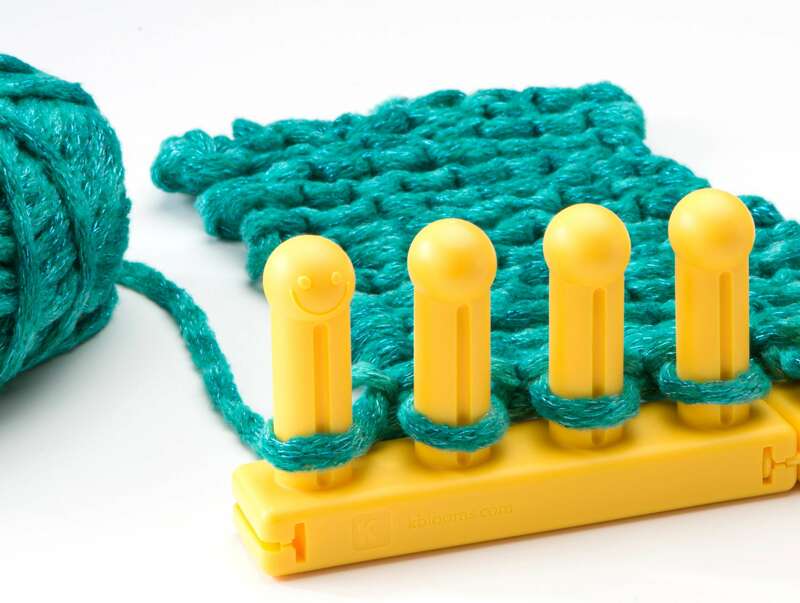 Knitting loom: KB Hat Loom (set to 24-28 pegs in the large gauge). Notions: set of leather soles, 2 large decorative buttons, loom tool, 6mm crochet hook (for cast on and help with possible missed stitches, etc), stitch markers, scissors, yarn needle, row counter, measuring tape, sewing needle and thread or thinner weight yarn (for stitching on leather soles). Skills Needed: E-wrap, Purl, Double Wrap Short Row Method (shown in video links and step by steps below), Half Hitch CO (or CO of your choice), and Basic BO. This pattern is created for ladies size 7.5-8.5, with men’s size 9.5-10.5 listed in parenthesis ( ). If you’d prefer a smaller or larger size, just add or decrease pegs/rows as needed. 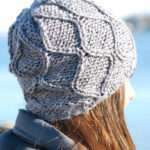 As this is working with very bulky yarns, keep tension loose throughout. Set loom to 28 pegs in large gauge. CO to 24 (28) of the pegs to work as a panel, centering stitches on a long section of the loom. Button Loop: Working on Peg 1 only, EW and KO 10 times. Place stitch markers on pegs 7, 11, 14, 18 (8, 13, 16, 21). These will be helpful while turning the heel/toe. Row 22 (26): EW24 (28) (KO 3 over 1 on peg 6 (7) ). Rows 23-36 (27-44): EW24 (28). *Note: The number of rows in this section is easily adjusted to accommodate the intended shoe size. 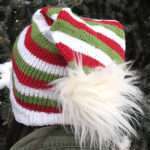 Simply work until the entire length of knitting measures the total length desired for slipper, minus 2.5” (3”). Row 37 (45): Repeat the same steps used to turn the heel. Row 38 (46): Repeat Row 22. Wrap the #5 decorative yarn around the loom once. Cut this yarn strand here. BBO all pegs. Wrap the #6 yarn strand around the loom twice. Cut this yarn strand here. The slipper will now be seamed up in a “T” shaped manner. It might help to pin slipper edges in place before proceeding to ensure an even seam. Use the #5 weight yarn tail to seam up the toe, and the #6 weight yarn to seam up the top of the slipper until 1” (1.5”) ( below the button loop. Knot securely at this point. Stitch the button onto the side opposite the button loop so that it still shows when the cuff is folded down. Work all steps once more for the second slipper, making sure to CO in the opposite direction as the first slipper so the button loop will be worked on the correct side. EW18 (21), W&T peg 19 (22). EW12 (14) to peg 7 (8), W&T peg 6 (7). EW11 (13) to peg 17 (20), W&T peg 18 (21). EW10 (12) to peg 8 (9), W&T peg 7 (8). EW9 (11) to peg 16 (19), W&T peg 17 (20). EW8 (10) to peg 9 (10), W&T peg 8 (9). EW7 (9) to peg 15 (18), W&T peg 16 (19). EW6 (8) to peg 10 (11), W&T peg 9 (10). EW5 (7) to peg 14 (17), W&T peg 15 (18). EW4 (6) to peg 11 (12), W&T peg 10 (11). Increasing Begins: Each W&T will make a total of 3 loops on that peg (lift both wraps and loops already on W&T peg as one, then W&T), and the peg before the W&Ts will be KO 2 loops over 1, then 3 loops over 1 as the pegs increase. EW4 (4) to peg 14 (16), W&T peg 15 (17). EW5 (5) to peg 10 (12), W&T peg 9 (11). EW6 (6) to peg 15 (17), W&T peg 16 (18). EW7 (7) to peg 9 (11), W&T peg 8 (10). EW8 (8) to peg 16 (18), W&T peg 17 (19). EW9 (9) to peg 8 (10), W&T peg 7 (9). EW10 (10) to peg 17 (19), W&T peg 18 (20). EW11 (11) to peg 7 (9), W&T peg 6 (8). Women’s Size: EW18 to peg 24 (KO 3 over 1 on peg 18 and KO 2 over 1 on peg 19). Women’s Size heel/toe is complete. (Men’s Size: EW12 to peg 20, W&T peg 21). (Men’s Size: EW13 to peg 8, W&T peg 7). (Men’s Size: EW21 to peg 28 (KO 3 over 1 on peg 21, and KO 2 over 1 on peg 22). Men’s Size heel/toe is complete.